Go bold with this sweater! 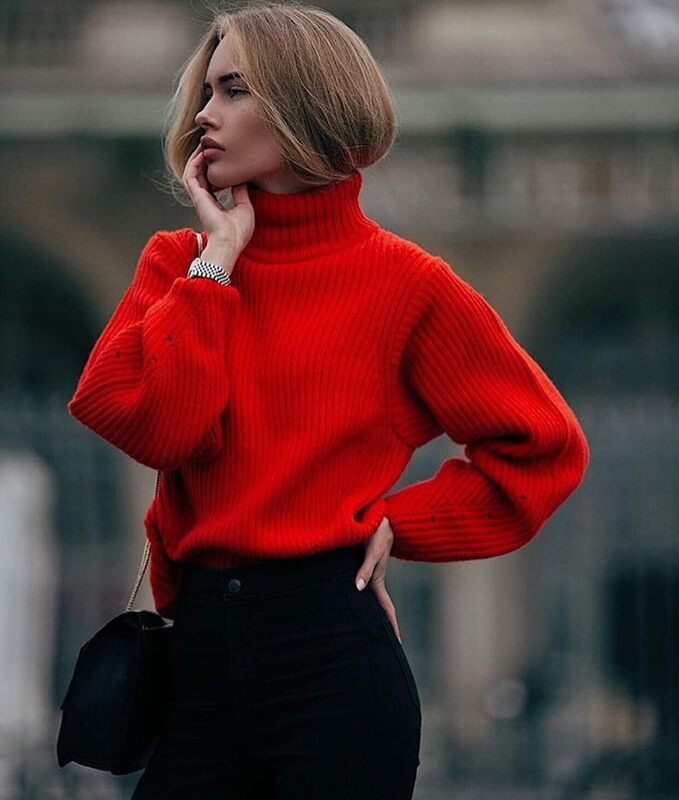 Here we see a bright red oversized sweater with a high neck. You can tuck it inside black skinny jeans to underline your feminine waistline. I definitely recommend giving it a try!